Facebook announced today that they will be more transparent with their Edgerank formula. 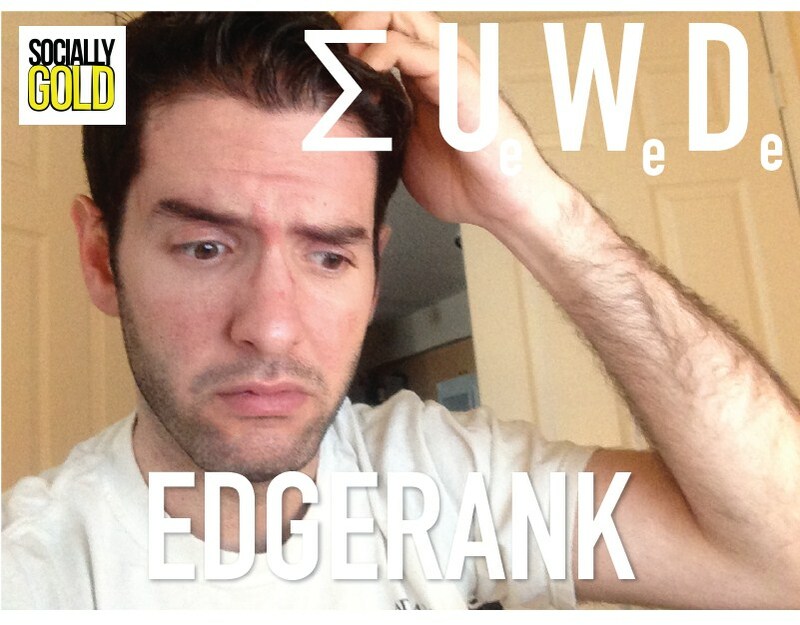 Instead of jumping right into the changes, let’s learn about what Edgerank is. Facebook Edgerank is an unofficially named Facebook algorithm that determines which stories are shown on your timeline. Not every post from all your friends and the pages you like are shown to you. Facebook Edgerank handles which ones do and which don’t. It can also be a marketers worst nightmare. There is the potential for you to like a page and never see that pages content again because of Edgerank. Like Edgerank yet? As a Facebook Page admin, you’ll notice that each post tells you how many people saw it. If you have 500 fans, not all 500 will see it. 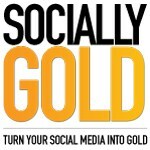 Your goal is to be as engaging with your page posts as possible. Twitter shows you every post of every follower in chronological order, Edgerank and Facebook do not. This algorithm determines which newsfeed stories appear first and at all. If you like a post, Edgerank will assume that you want to see more of that person or page. What’s New with Facebook Edgerank? Facebook is striving to keep the public up to date about their newsfeed and Edgerank changes via the Facebook for Business Blog. Today they announced a cool feature that will bring stories unseen from the beginning of the day to the top. A user can be exposed to roughly 1500 stories at a time, this brings posts with high engagement to the top of your feed so you don’t miss out. No more FOMO! Why does Facebook use Edgerank? Facebook claims that without Edgerank, you would be overwhelmed with everyone’s posts. My feeling is that they also use this as a tactic to get you to spend money on advertising. They show you how many people saw your page post, which can be far less then the number of page likes you have. How do I boost my Edgerank? 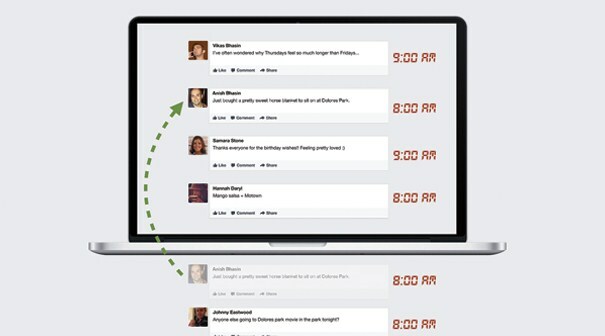 If you are a Facebook Page admin, you’ll want your posts in front of as many eyes as possible. Below are a few suggestions to make that happen.
. Ex. Oreo Cookies are the best when eaten with _____________. Share this image on your Facebook Page. Did you like this story? Please tweet, like, share, email and word of mouth it with your friends.